BrightStar Care of Venice and Port Charlotte is family owned and operated by a Registered Nurse. Lisa Marie and her husband, Jim Boone, took over ownership of BrightStar Care of Venice and Port Charlotte in April 2016. Lisa Marie Swiatkowski, RN, LHRM has been in the nursing field for over 25 years and brings that knowledge to BrightStar Care of Venice and Port Charlotte. She is passionate about helping others and particularly driven to serving the most vulnerable members of society: the elderly. She is fully committed to being a hands-on owner actively involved in the daily operations of the organization with a primary focus on client needs, quality assurance, and business development. BrightStar care of Venice and Port Charlotte has been awarded Best of Home Care Leader in Excellence, Provider of Choice and Employer of Choice 2017, 2018, and 2019. They were able to accomplish this by providing outstanding care and attention to their clients and care team. 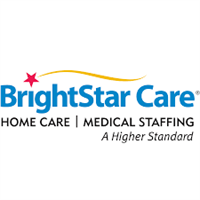 BrightStar Care is a Joint Commission Accredited Private Duty Home Care Agency that offers a full spectrum of care which includes: Companion Care, Personal Care and Skilled Care Services. They also provide Professional Staffing to facilities. Service areas include Sarasota, Charlotte and DeSoto Counties. BrightStar Care provides "A Higher Standard" of care to those in need.